schedule your reservation: 207-244-5385 schedule your reservation now! 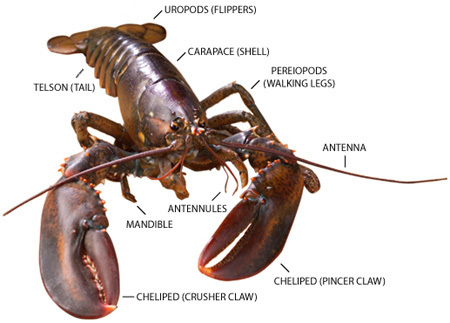 It has been estimated that lobsters live up to 70 years old, although determining age is difficult. In 2012 a report was published describing how growth bands in calcified regions of the eye stalk or gastric mill in shrimps, crabs, and lobsters could be used to measure growth and mortality in decapod crustaceans. Without such a technique, a lobster’s age is estimated by size and other variables; this new knowledge “could help scientists better understand the population and assist regulators of the lucrative industry”. * Open occasionally after September 15th, call for more info. * Non-fishing Discount Ten dollars off. Ride the boat and enjoy the trip! All web reservations must be made 24 hours in advance, and must be confirmed with a credit card before the reservation is valid. We do NOT take payment at the time you are confirming the reservation. You are only confirming the reservation with this form. You pay at the boat with cash or a credit card. Cash is preferred since it takes less time to process and allows us to get started sooner. Acadia Fishing Tours requires at least 15 passengers to make a trip. If the minimum is not met, we will try to schedule you for another time. Federal Law in 2015 deems that cod and wolf fish must be catch and release.